AWESOME, Anne! The problem is not that we disagree; it’s that we have to disagree better and work together anyway toward our common goals. So proud to call you a fellow mama doc! Onward, Sister–WRITE ON! I have learned a lot from reading #ThisIsMyLane on Instagram. Awesome Sally!! I think it might be that the tides are changing…..
Great post, Annie! 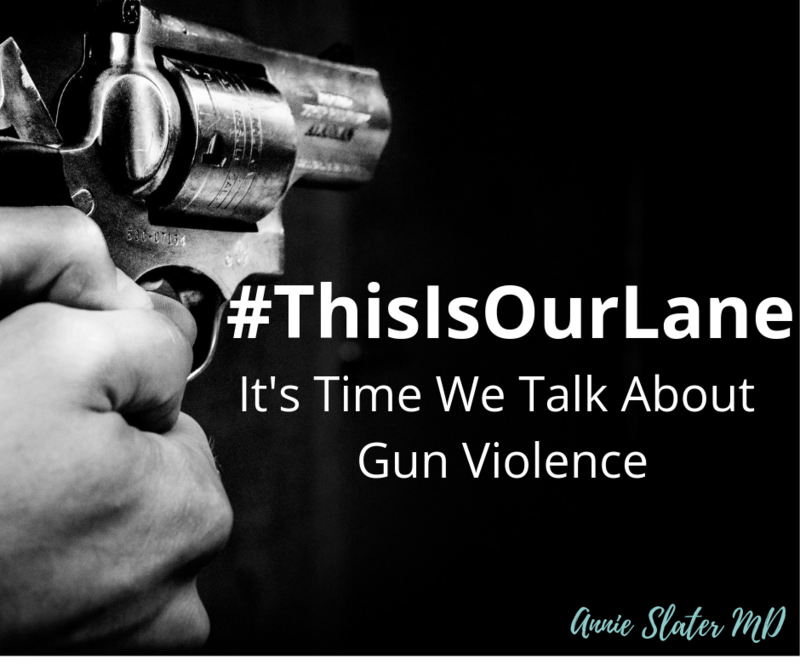 I’ve been following the #ThisISOurLane on Twitter and it’s been heartbreaking to read the stories of tragedy and loss from gun violence. I wholeheartedly agree with the importance of listening to people! Healthcare workers add an important perspective on just how destructive guns can be to the human body. Gun policy is a complex issue and we won’t get very far if we don’t listen to each other.